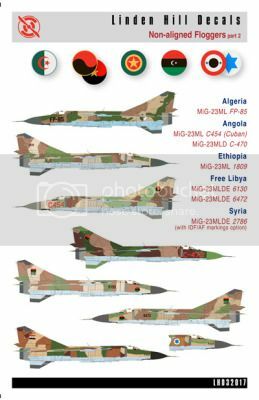 These will be available in April, along with our new 1/72 VVS 100 years bombers and 1/48 scale MiG-29 9-12 and 9-13 sheets. 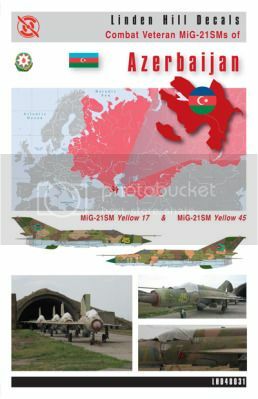 The Azeri MiG-21SMs (outwardly identical to MFs) are probably the rarest MiG-21s out there. We also believe they are the only SMs to actually see combat. No photos existed in the public domain before now. Not even ACIG could produce one. They were used extensively for ground attack missions during the bitter 1992-4 Nagorno Karabakh War between Azerbaijan and Armenia. Out of the approximately twenty MiGs acquired from Ukraine during 1992, only four survive. We supply decals for the two most colorful. Last edited by Linden Hill; March 14th, 2013 at 06:36 PM.